The most powerful device for controlling and tracking your vehicle is already in your pocket! 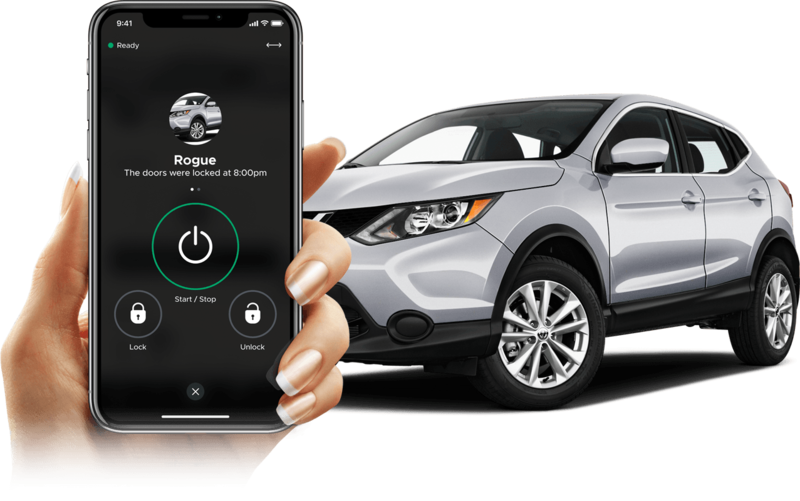 DroneMobile connects your vehicle to your smartphone - so that you can remote start, secure, and track your vehicle from virtually anywhere. 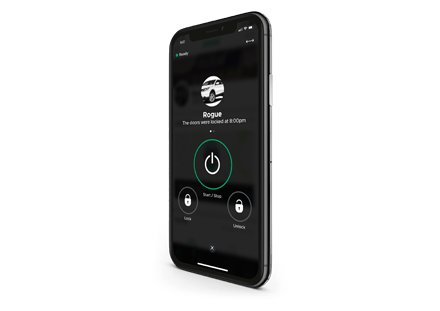 Control your vehicle from anywhere using the DroneMobile app. Start your engine from virtually anywhere! Lock and unlock your doors from your smartphone. 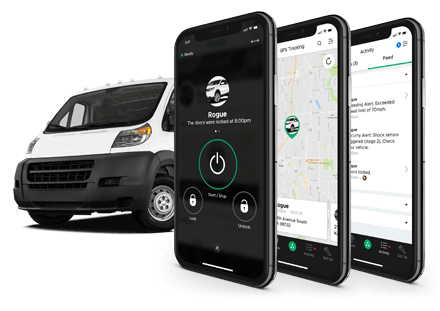 Connect DroneMobile to a security system to get 24/7 alarm monitoring. 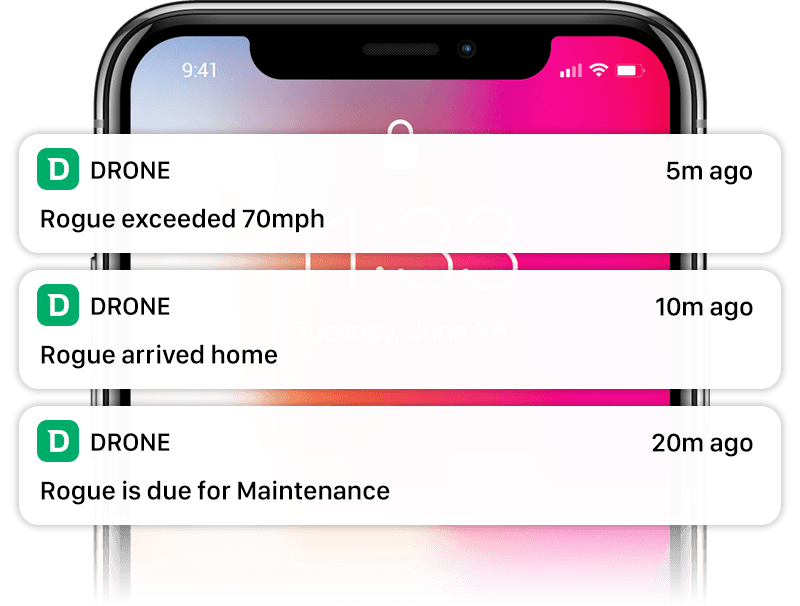 If your alarm is triggered, DroneMobile will send you an instant push notification or e-mail alert. Locating your vehicle using DroneMobile Maps. Powered by Google Maps. Receive push alerts when entering/exiting an area. Receive alerts for after-hours driving. 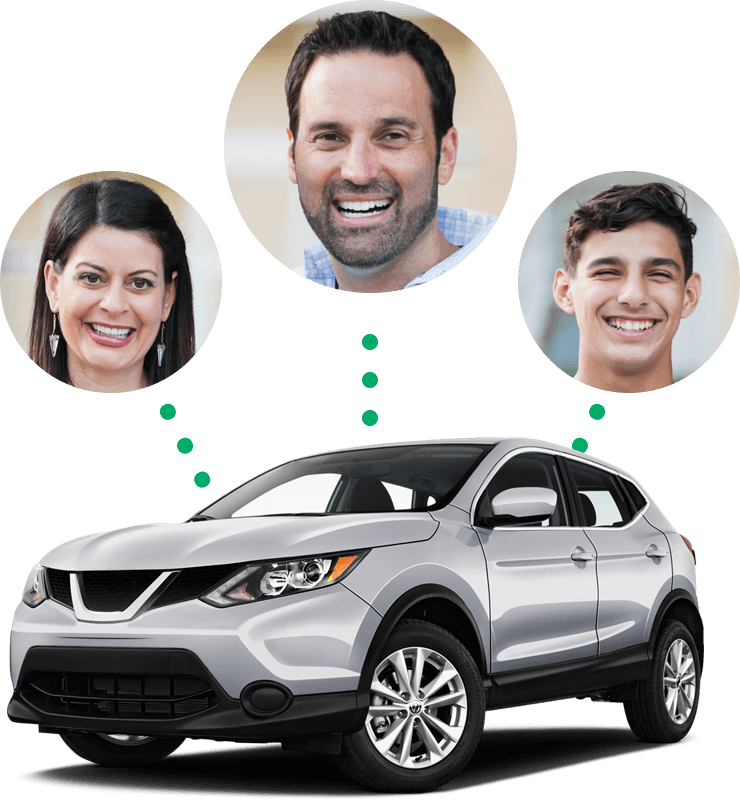 For households or businesses with multiple drivers and vehicles, DroneMobile Family Sharing now makes it easier than ever to share access to those vehicles. Furthermore, each driver has their own login and set their own preferences for notifications. Every DroneMobile plan includes a 30-Day Trial and a Lifetime Warranty with Premium or Business plans.